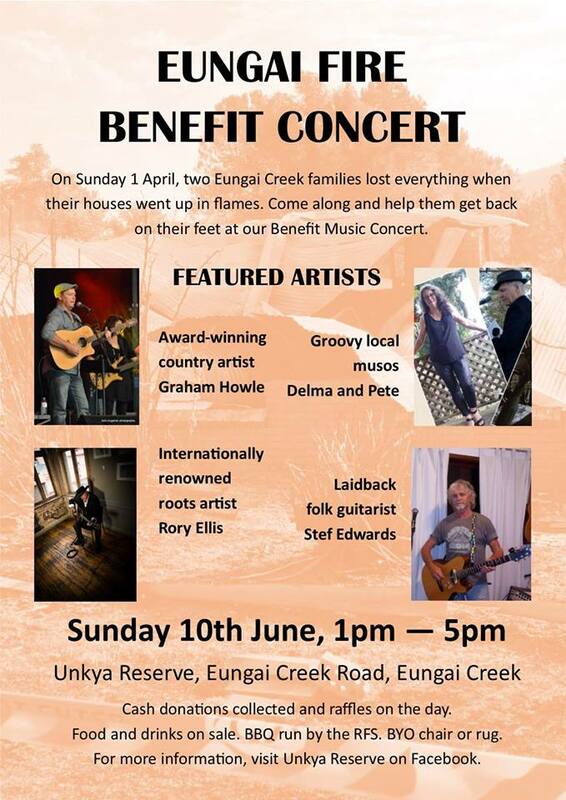 On Sunday 1 April two Eungai families lost everything when their homes were destroyed by fire. Come along and help them get back on their feet at our Benefit Music Concert. Featured musos are Graham Howle, Rory Ellis, Delma and Pete, and Stef Edwards. The Eungai RFS is running a BBQ and snacks and drinks will be on sale at the canteen. Raffle tickets will be on sale plus we will pass the bucket around to raise money for the Skinners and the Bergers.